The very first Mammoth Film Festival is now in the history books. Mammoth Lakes, CA was gracious to accommodate those who love, create and enjoy film. 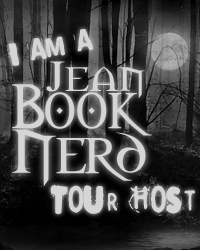 The JeanBookNerd Team was on hand to bring you coverage of this historic event. Already claiming the title of largest first-time film festival, it was an all media frenzy commending assortments of filmmakers, writers, directors, actors, producers and their work. From interviews with writers, directors, producers, and actors, we dig in deep to get insights from the people that give us these memorable works of art. Take a look at the preview video to see what’s to come and view an up-close experience of the Celebrity Bowling Tournament featuring Tom Welling, Peter Facinelli, Nina Dobrev, Kellan Lutz, Ashley Greene, Arielle Vanderberg and many more. The Mammoth Film Festivals central aim is to lead the charge for an ever-changing landscape of film and media. As content continues to be consumed on new and different platforms, the fear exists that independent film will become lost in the wayside. Mammoth Film Festival aims to be an important institution towards fostering independent filmmakers and their stories so that strong and important voices always have a way to continue to be seen and heard. The film and media showcase of the Mammoth Film Festival has a firm purpose for the exhibition, exploration, celebration and competition of boundless media. A celebration of independent creation and absolute risk-taking in the world of multimedia, film and television. The Mammoth Media Institute is an organization that utilizes this destination location (Mammoth Lakes, CA) to bring independent film and television, VR, documentaries, film education and more to the eyes and ears of industry professionals, distributors, producers, financiers etc. ABOUT MAMMOTH MEDIA INSTITUTE, INC.
We do this by creating a multiplatform festival (Mammoth Film Festival™) showcasing this media, generating publication with our partners and advisory board through the support of our sponsors. We also have a film education program (Mammoth Film Summit™) that is held twice a year one in Mammoth Lakes and one in a hand selected city in the US. It’s purpose is to educate newer film makers with a broad variety of seminars with working professional: producers, actors, writers and directors. The funds generated go into the institute to host the festival and the film education programs, also to film grants awarded to film makers throughout the year at events across the nation.